Yes, it was my first time in Boracay! It was my local dream destination then but I wonder why only now? I never raved for Boracay as my destination whenever there’s an airline seat sale, maybe because it’s always sold out? I wonder but thank you airline promos I was able to book round trip tickets for only PHP 500 less. It was high school friends trip to Boracay but since the tickets were booked a year ago, things have changed. From 8 down to 2 who went to Boracay. But that didn’t stop us from enjoying the beautiful island of Boracay. Me and my best friend had different flights, mine was 5:30 AM and hers was at 6:30 AM so I still waited for her at the Caticlan Airport before going to the port. We didn’t have any room reservation. I just researched for some affordable rooms / guesthouses located at Station 2. Our first choice was Tans Guesthouse but since we can only check in at 2:00 PM, we looked for another accommodation nearby. We stayed at Madid’s Inn for PHP 1,000 per room for 2 persons. Madid’s Inn is also located at the alley where Tan’s Guesthouse is. It was an alley with 4 or more guesthouses. If you were to ask if it is near the shore and D’ Mall. Yes! For 3 minutes walk, you are already at the shore, and for 10 minutes walk, you are already at the D’ Mall. For directory going to Madid’s Inn, you may check on Nina’s blog here. Thanks Nina! Me and my best were feeling sleepy that time (me not having a sleep then because of my early flight), so we slept for awhile before moving to our itinerary for the day. We woke up at around 3:00 PM, we skipped lunch! I was feeling hungry so the first thing on our mind was to eat. But things have changed when we went out from our room, we strolled along the beach. It was a beautiful day! I was really in Boracay! The long stretch of the beach in front of me, so awesome! Can’t wait to take a dip, beach!!! While walking, me and my best were talking about para sailing and we wanted to try it. I told her that the best to contact is Diamond Water Sports, exactly we passed by their office when we’re strolling. We got their numbers and will just contact for the reservation. Afterwards, we looked for the famous Jonah’s fruit shake! The one we went to is located at Station 1. The store is almost full, which only shows that their fruit shakes are really famous. I ordered Choco Banana for PHP 110.00 and my best ordered Mango (something) for PHP 110.00. 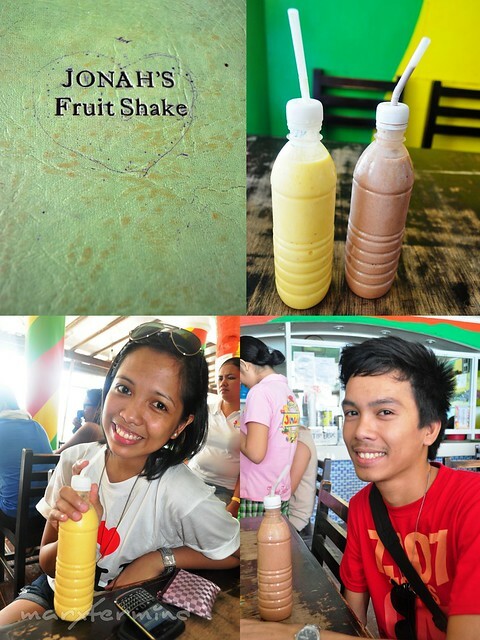 Their fruit shakes prices were increased by PHP 20 (I read from blogs that it only cost PHP 90.00 then). We had our fruit shakes take out since we’re already hungry, and we need to look for somewhere to eat at the D’ Mall. At first sip of my Choco Banana Shake, I love how it was tasted (pero nakakaumay din pla). I wasn’t able to consume it all. The flavor was too thick but it was a must try, indeed. The Mango (something) shake of my best friend is even better than the Choco Banana shake, there was no disgusted taste factor. Maybe because it’s a tropical flavor. Afterwards, we contacted Diamond for para sailing reservation at 5:00 PM. (para sailing on separate entry). Our first day didn’t just end there. What’s Boracay without experiencing night out, right!? (next entry). Book hotel room or accommodation in advance. It was off peak season when I went to Boracay but there are still a lot of guests, better reserve a room in advance to avoid hassle. Nung nag-Boracay ako kulang na lang tumalon ako sa tuwa, tinago ko lang yung excitement. Dream ko kasi ang Boracay! 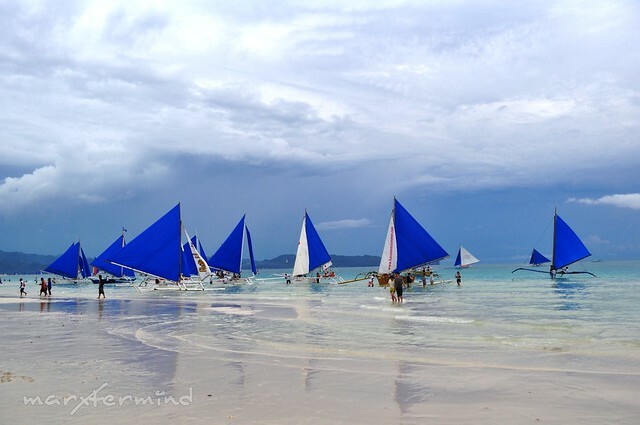 inggit much talaga ako sa mga nakapunta na ng boracay… hays pag ako nakapunta dyan talagang bonggang bongga ang pagboblog ko nyan hehe! 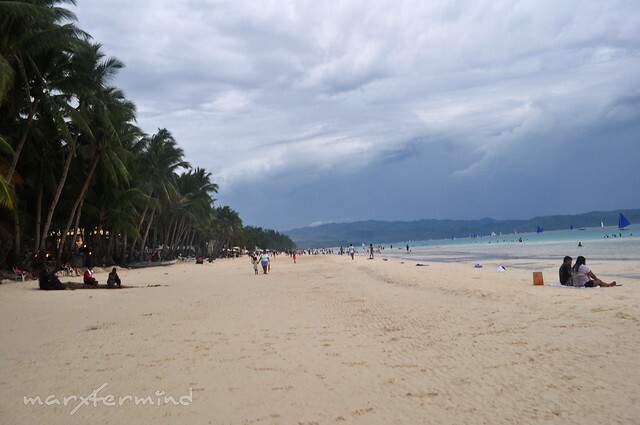 Boracay is definitely every travelers destination… the beach there is a superb experience. 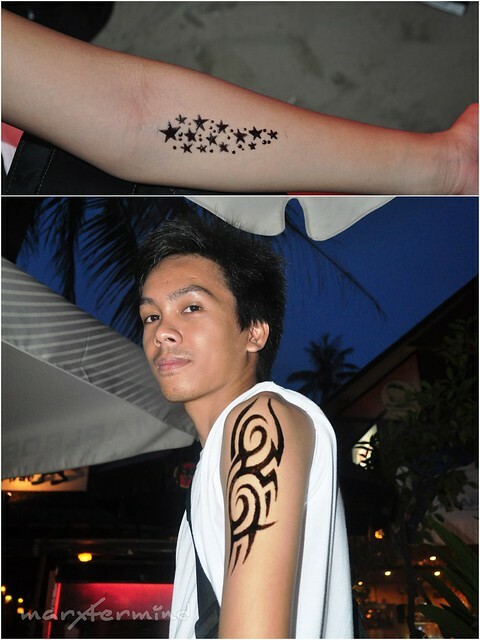 @Maricar, sabi nung nag Henna sa akin 2 weeks daw tong Henna! Hehehehe!!!! ayoko ng henna na yan. feeling ko hindi ako hiyang. yung kasama ko kasi dati, nagpaganyan sa bora naging permanent. hahaha! Hindi lang basta permanent, nag emboss pa. nakakadiri. hahaha! 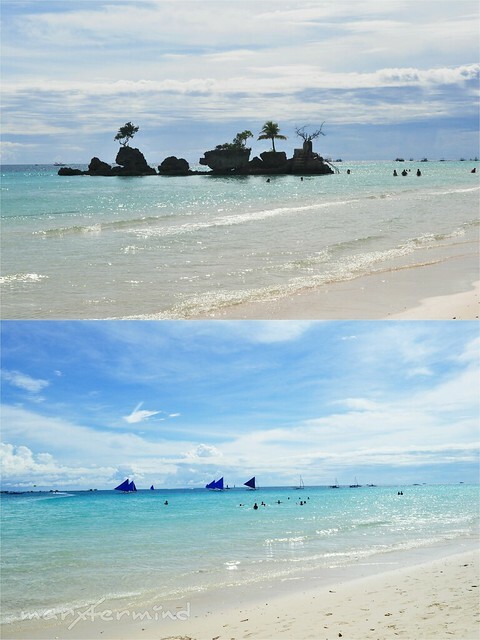 @Jeffz, Ang ganda talaga sa Boracay! Pero kahit off peak dami pa din tao, huh! @Chyng, Yeah, Boracay virgin no more. And babalik pa ulit ako! wow! dyan ka pala naglagalag. heheh! ingit na naman ako. Makakarating din ako diyan. natawa ako sa henna comment mo. "feeling macho lang". lol! more more!